Ten year old twins Karthik and Aditya Mittal do everything together. Both play the guitar and the piano, both love watching Phineas and Ferb, Mythbusters, and Shark Tank. And both Tynker. When mom and dad are both computer programmers, it’s not surprising that the kids get into coding early. 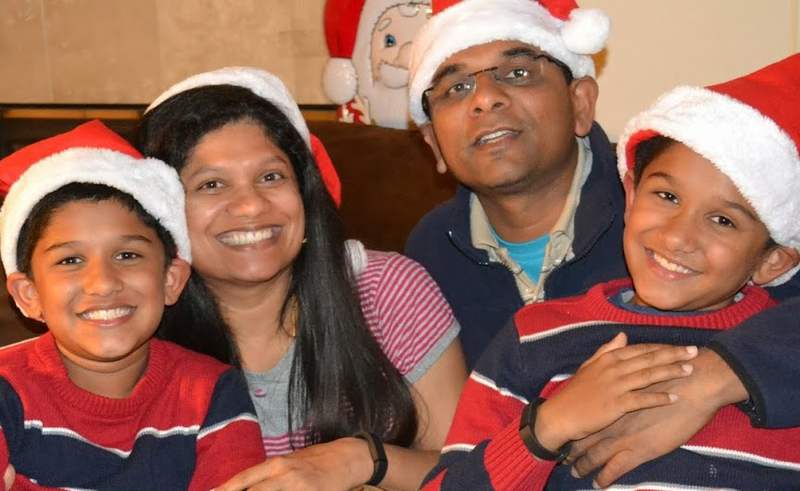 This family shares with us their explorations into programming learning for their children. The boys study at the Challenger School campus in Newark, CA and they did have some exposure to programming at school. “We basically learnt a little bit of typing and Logo,” says Karthik. 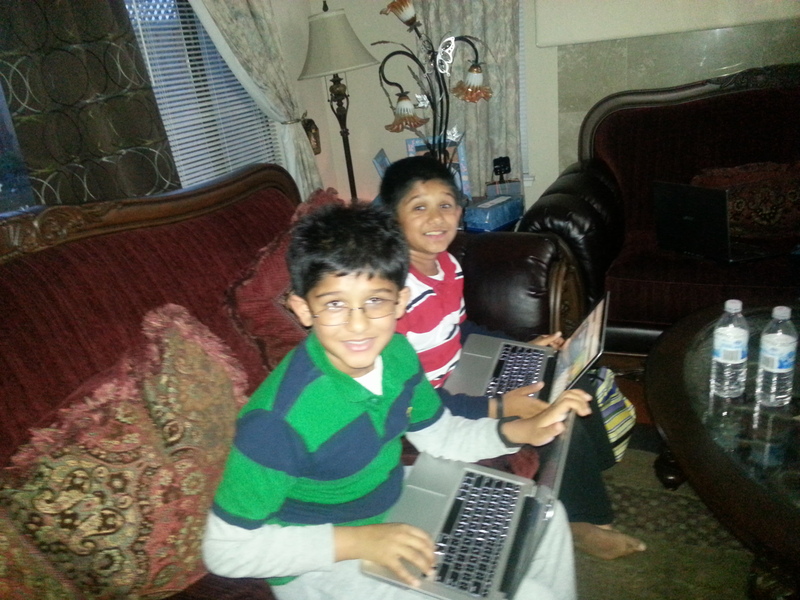 “I am a really good typist now!” says his twin Aditya, but clearly that was not enough. The syntax of the traditional programming languages was a bit overwhelming for the fourth graders and they quickly lost interest in the coding tutorials. Meenal realized that, despite the twins’ obvious interest in programming, these courses were not helping in retaining that interest, or inspiring them to continue working on knowledge building. When she came across Tynker, the bright, attractive interface and story-line based tutorials seemed engaging and very interesting, and she signed the twins up for the home edition. But the clincher for both boys? They actually enjoy programming with Tynker. Meenal believes it is the ability to be creative and build interesting things that makes Tynker engaging and almost addictive. In the boys’ case, the current obsession is game-building. Karthik is working on an Alien Attack game where the player has to shoot two aliens to win points. “I am at the part where the alien tries to escape. I still haven’t figured out how to make the alien vaporize.” He knows how to “hide” the alien when it is shot but wants the splashy special effect of an explosion! Aditya is building a game called “Escape the Rain” where the player has to find a way around giant raindrops. “If a drop touches you it’s ‘Game Over!’” he says. Both the games have been inspired by existing games in Tynker’s vast library, though the boys are building theirs from the ground up. The Tynker library, that has native programs as well as those built by the thousands of Tynker users, is a huge attraction for the boys. The two of them also recently signed up (and rushed to complete over one weekend!) Tynker’s intermediate-level course specifically for coding games, Game Design 101: The Drone Menace. This helped them learn to program useful game features like collision detection, scoring, lives, using variables, and cloning and skinning the game. The boys found the topic of variables somewhat tough, but once they understood the concept through the course, they say it is proving very useful as they are building their games. Tynker also meets this computer scientist’s exacting academic standards. “I feel the courses really do cover the basics of programming logic and thinking very well, and in a structured progressive manner.” For us at Tynker, that’s high praise indeed. Here’s wishing many more hours of programming, and sharpened thinking skills, to Karthik and Aditya. Code on guys! Sope Creek Elementary Empowers Students with STEM! Steve Gets Sophisticated with Code! Zara Expresses Her Artistic Side with Code! Nicholas Codes For His Future! Rosalie Role Plays with Coding Blocks!